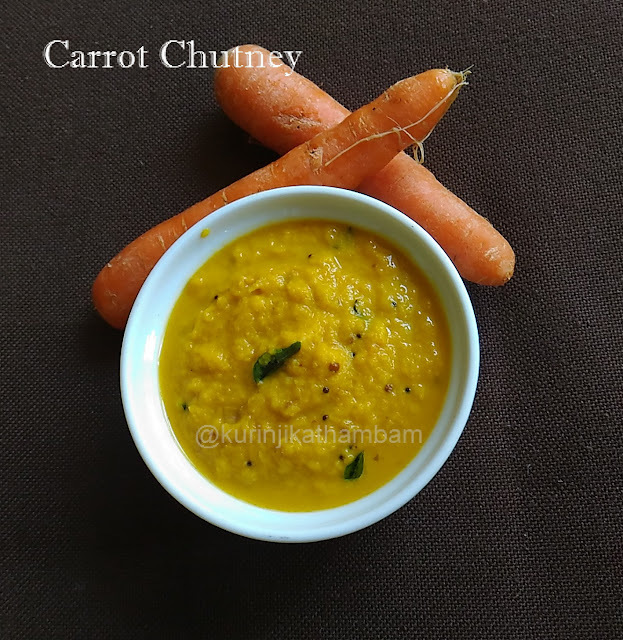 I have already posted carrot chutney earlier. In this variation i have added onion and coriander seeds. It is very aromatic and it goes well with dosas and appams. 1. Peel the skin of the carrot and grate then using the grater. 2. Heat 2 tsp of oil. Add chana dal and coriander seeds. Fry them till nice aroma comes out. 3. Then add red chillies and garlic pods. Fry for few seconds. 4. Now add the chopped onion and sauté them till it becomes translucent. 5. 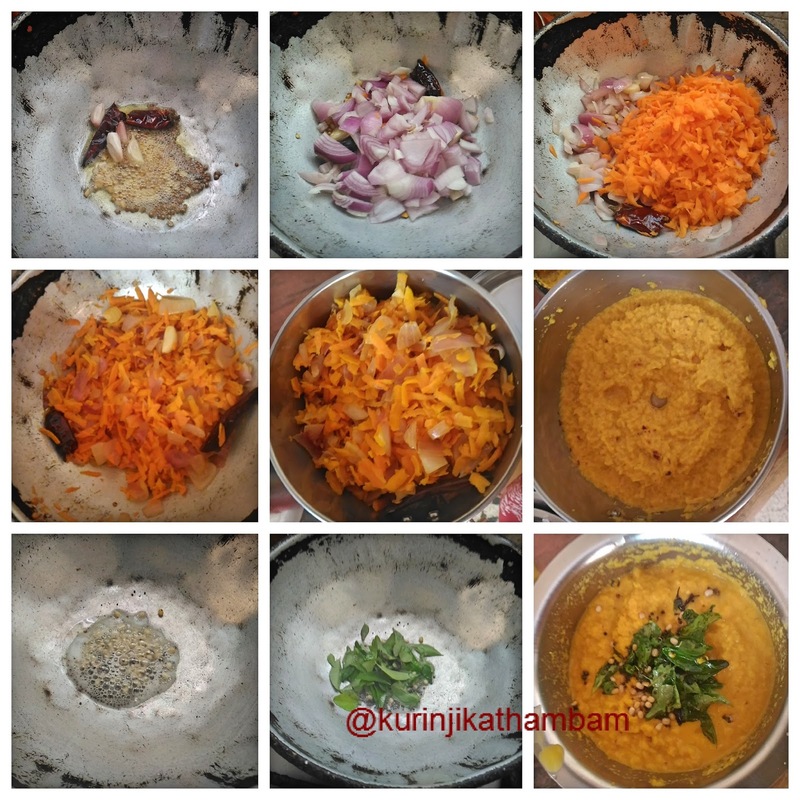 Add grated carrot and fry till the color of the carrot becomes yellow. Allow it cool down completely. 6. Then grind them into a coarse paste with little water and salt. Transfer it into serving bowl. 7. Heat 1 tsp of oil in a pan, add mustard seeds and urad dal; wait for popping. 8. Add curry leaves and fry till they become crisp. 9. Mix this temper with chutney and mix them well. Serve this chutney with Idli, Dosa and Aappam. You can use ½ cup of small onion instead of big onion. Click here for more Chutney Recipes. Looks yummy and different !!! Will surely try soon . I tried this chutney.... was different and yummy !!! Nice innovative recipe. Thanks for sharing.